REAL SOCIEDAD S.A.D. 0 - 1 VALENCIA FEMENINAS C.F A.
ZARAGOZA C.F. FEMENINO. 0 - 9 BARCELONA F.C. LEVANTE U.D.SAD A 1 - 1 MADRID C.F FEMENINO A. ATHLETIC CLUB 2 - 0 SPORTING CLUB C.D. VALENCIA FEMENINAS C.F A. 1 - 1 SANTA TERESA C.D. ATLETICO DE MADRID SAD CLUB 1 - 0 REAL SOCIEDAD S.A.D. MADRID C.F FEMENINO A. 3 - 2 ZARAGOZA C.F. FEMENINO. SEVILLA F.C. SAD 1 - 3 ESPANYOL DE BARCELONA SAD RCD. ATHLETIC CLUB 3 - 2 VALENCIA FEMENINAS C.F A. REAL SOCIEDAD S.A.D. 0 - 1 BARCELONA F.C. FUNDACIÓN ALBACETE 1 - 1 MADRID C.F FEMENINO A. SPORTING CLUB C.D. 2 - 0 ESPANYOL DE BARCELONA SAD RCD. VALENCIA FEMENINAS C.F A. 1 - 0 SPORTING CLUB C.D. BARCELONA F.C. 10 - 0 SANTA TERESA C.D. MADRID C.F FEMENINO A. 2 - 1 REAL SOCIEDAD S.A.D. BETIS BALOMPIE SAD REAL 1 - 0 ZARAGOZA C.F. FEMENINO. ATHLETIC CLUB 1 - 2 BARCELONA F.C. SANTA TERESA C.D. 1 - 1 MADRID C.F FEMENINO A.
LEVANTE U.D.SAD A 1 - 1 ESPANYOL DE BARCELONA SAD RCD. ATLETICO DE MADRID SAD CLUB 3 - 1 SPORTING CLUB C.D. BARCELONA F.C. 2 - 0 VALENCIA FEMENINAS C.F A.
TENERIFE EGATESA A UDG 5 - 1 SANTA TERESA C.D. BETIS BALOMPIE SAD REAL 4 - 0 REAL SOCIEDAD S.A.D. ESPANYOL DE BARCELONA SAD RCD. 2 - 1 ZARAGOZA C.F. FEMENINO. ATLETICO DE MADRID SAD CLUB 1 - 1 BARCELONA F.C. VALENCIA FEMENINAS C.F A. 4 - 0 MADRID C.F FEMENINO A.
FUNDACIÓN ALBACETE 1 - 3 ESPANYOL DE BARCELONA SAD RCD. BARCELONA F.C. 3 - 0 SPORTING CLUB C.D. TENERIFE EGATESA A UDG 0 - 0 VALENCIA FEMENINAS C.F A.
SEVILLA F.C. SAD 1 - 2 SANTA TERESA C.D. ESPANYOL DE BARCELONA SAD RCD. 0 - 0 REAL SOCIEDAD S.A.D. LEVANTE U.D.SAD A 5 - 1 ZARAGOZA C.F. FEMENINO. BARCELONA F.C. 7 - 0 MADRID C.F FEMENINO A.
SANTA TERESA C.D. 0 - 0 ESPANYOL DE BARCELONA SAD RCD. SPORTING CLUB C.D. 1 - 1 ZARAGOZA C.F. FEMENINO. MADRID C.F FEMENINO A. 2 - 1 SPORTING CLUB C.D. TENERIFE EGATESA A UDG 1 - 0 BARCELONA F.C. SEVILLA F.C. SAD 1 - 3 VALENCIA FEMENINAS C.F A.
RAYO VALLECANO DE MADRID SAD 3 - 0 SANTA TERESA C.D. LEVANTE U.D.SAD A 1 - 1 REAL SOCIEDAD S.A.D. VALENCIA FEMENINAS C.F A. 1 - 1 ESPANYOL DE BARCELONA SAD RCD. REAL SOCIEDAD S.A.D. 6 - 2 ZARAGOZA C.F. FEMENINO. 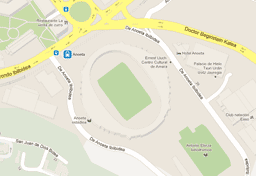 TENERIFE EGATESA A UDG 5 - 1 SPORTING CLUB C.D. BETIS BALOMPIE SAD REAL 2 - 1 MADRID C.F FEMENINO A.
SEVILLA F.C. SAD 0 - 2 BARCELONA F.C. RAYO VALLECANO DE MADRID SAD 4 - 2 VALENCIA FEMENINAS C.F A.
ZARAGOZA C.F. FEMENINO. 4 - 1 SANTA TERESA C.D. FUNDACIÓN ALBACETE 0 - 3 REAL SOCIEDAD S.A.D. BARCELONA F.C. 4 - 0 ESPANYOL DE BARCELONA SAD RCD. ATHLETIC CLUB 4 - 0 ZARAGOZA C.F. FEMENINO. SPORTING CLUB C.D. 1 - 3 REAL SOCIEDAD S.A.D. ESPANYOL DE BARCELONA SAD RCD. 1 - 2 MADRID C.F FEMENINO A.
RAYO VALLECANO DE MADRID SAD 1 - 2 BARCELONA F.C. ZARAGOZA C.F. FEMENINO. 1 - 3 VALENCIA FEMENINAS C.F A. REAL SOCIEDAD S.A.D. 0 - 0 SANTA TERESA C.D. TENERIFE EGATESA A UDG 1 - 0 ESPANYOL DE BARCELONA SAD RCD. ATLETICO DE MADRID SAD CLUB 3 - 0 ZARAGOZA C.F. FEMENINO. ATHLETIC CLUB 2 - 1 REAL SOCIEDAD S.A.D. SANTA TERESA C.D. 1 - 1 SPORTING CLUB C.D. ATHLETIC CLUB 1 - 0 SANTA TERESA C.D. VALENCIA FEMENINAS C.F A. 3 - 1 REAL SOCIEDAD S.A.D. BARCELONA F.C. 2 - 0 ZARAGOZA C.F. FEMENINO. BETIS BALOMPIE SAD REAL 2 - 0 ESPANYOL DE BARCELONA SAD RCD. SEVILLA F.C. SAD 1 - 2 SPORTING CLUB C.D. SANTA TERESA C.D. 1 - 1 VALENCIA FEMENINAS C.F A.
FUNDACIÓN ALBACETE 0 - 3 BARCELONA F.C. ZARAGOZA C.F. FEMENINO. 1 - 1 MADRID C.F FEMENINO A.
ATLETICO DE MADRID SAD CLUB 2 - 1 SANTA TERESA C.D. BARCELONA F.C. 0 - 0 REAL SOCIEDAD S.A.D. TENERIFE EGATESA A UDG 2 - 0 ZARAGOZA C.F. FEMENINO. ESPANYOL DE BARCELONA SAD RCD. 1 - 0 SPORTING CLUB C.D. SPORTING CLUB C.D. 1 - 3 VALENCIA FEMENINAS C.F A.
SANTA TERESA C.D. 0 - 3 BARCELONA F.C. REAL SOCIEDAD S.A.D. 3 - 0 MADRID C.F FEMENINO A.
RAYO VALLECANO DE MADRID SAD 1 - 1 ESPANYOL DE BARCELONA SAD RCD. ATLETICO DE MADRID SAD CLUB 1 - 0 VALENCIA FEMENINAS C.F A.
MADRID C.F FEMENINO A. 2 - 1 SANTA TERESA C.D. TENERIFE EGATESA A UDG 0 - 2 REAL SOCIEDAD S.A.D. SEVILLA F.C. SAD 3 - 2 ZARAGOZA C.F. FEMENINO. RAYO VALLECANO DE MADRID SAD 3 - 1 SPORTING CLUB C.D. VALENCIA FEMENINAS C.F A. 1 - 4 BARCELONA F.C. ATHLETIC CLUB 2 - 3 MADRID C.F FEMENINO A.
ZARAGOZA C.F. FEMENINO. 2 - 0 ESPANYOL DE BARCELONA SAD RCD. MADRID C.F FEMENINO A. 2 - 1 VALENCIA FEMENINAS C.F A.
BETIS BALOMPIE SAD REAL 3 - 0 SANTA TERESA C.D. SEVILLA F.C. SAD 0 - 2 REAL SOCIEDAD S.A.D. RAYO VALLECANO DE MADRID SAD 1 - 1 ZARAGOZA C.F. FEMENINO. LEVANTE U.D.SAD A 2 - 1 SPORTING CLUB C.D. SPORTING CLUB C.D. 1 - 1 BARCELONA F.C. ATLETICO DE MADRID SAD CLUB 2 - 2 MADRID C.F FEMENINO A. REAL SOCIEDAD S.A.D. 1 - 1 ESPANYOL DE BARCELONA SAD RCD. MADRID C.F FEMENINO A. 1 - 2 BARCELONA F.C. BETIS BALOMPIE SAD REAL 0 - 0 VALENCIA FEMENINAS C.F A.
ESPANYOL DE BARCELONA SAD RCD. 3 - 0 SANTA TERESA C.D. RAYO VALLECANO DE MADRID SAD 2 - 3 REAL SOCIEDAD S.A.D. ZARAGOZA C.F. FEMENINO. 2 - 1 SPORTING CLUB C.D. SPORTING CLUB C.D. 3 - 0 MADRID C.F FEMENINO A. ATHLETIC CLUB 1 - 0 ESPANYOL DE BARCELONA SAD RCD. FUNDACIÓN ALBACETE 3 - 0 ZARAGOZA C.F. FEMENINO. TENERIFE EGATESA A UDG 2 - 0 MADRID C.F FEMENINO A.
BETIS BALOMPIE SAD REAL 0 - 2 BARCELONA F.C. ESPANYOL DE BARCELONA SAD RCD. 0 - 0 VALENCIA FEMENINAS C.F A.
LEVANTE U.D.SAD A 3 - 0 SANTA TERESA C.D. ZARAGOZA C.F. FEMENINO. 2 - 0 REAL SOCIEDAD S.A.D. FUNDACIÓN ALBACETE 0 - 3 SPORTING CLUB C.D. ATLETICO DE MADRID SAD CLUB 2 - 0 ESPANYOL DE BARCELONA SAD RCD. SANTA TERESA C.D. 3 - 1 ZARAGOZA C.F. FEMENINO. SEVILLA F.C. SAD 3 - 1 MADRID C.F FEMENINO A.
ESPANYOL DE BARCELONA SAD RCD. 1 - 3 BARCELONA F.C. LEVANTE U.D.SAD A 0 - 1 VALENCIA FEMENINAS C.F A.
FUNDACIÓN ALBACETE 4 - 0 SANTA TERESA C.D. REAL SOCIEDAD S.A.D. 0 - 1 SPORTING CLUB C.D. BETIS BALOMPIE SAD REAL 0 - 1 SPORTING CLUB C.D. MADRID C.F FEMENINO A. 1 - 1 ESPANYOL DE BARCELONA SAD RCD. VALENCIA FEMENINAS C.F A. 1 - 0 ZARAGOZA C.F. FEMENINO. SANTA TERESA C.D. 1 - 4 REAL SOCIEDAD S.A.D. RAYO VALLECANO DE MADRID SAD 3 - 2 MADRID C.F FEMENINO A.
LEVANTE U.D.SAD A 0 - 5 BARCELONA F.C. FUNDACIÓN ALBACETE 0 - 2 VALENCIA FEMENINAS C.F A. SPORTING CLUB C.D. 1 - 0 SANTA TERESA C.D.